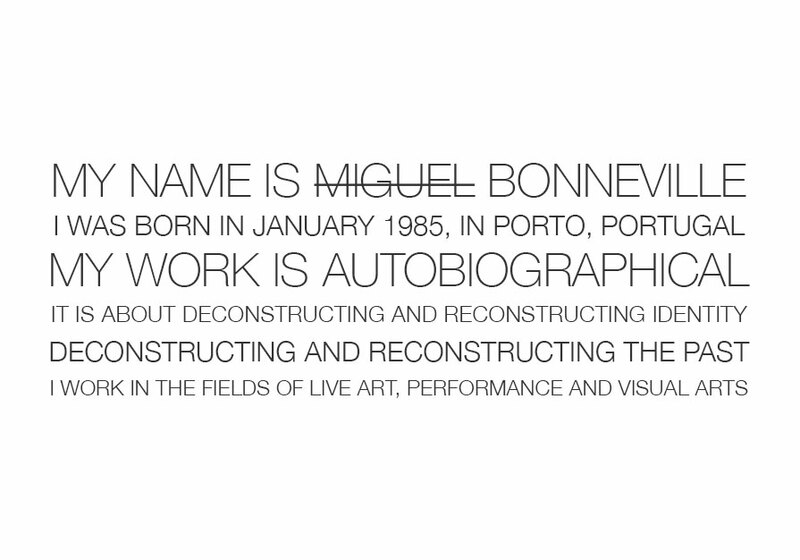 My name is Miguel Bonneville, I was born in January 1985, in Porto. My work is autobiographical, it is about deconstructing and reconstructing identity, deconstructing and reconstructing the past. I work in the fields of live art, performance and visual arts.